Spot-M Surf Camp South Morocco..... Great since 2008!  Spot-M Surf South Morocco is the leading surf travel company in South Morocco and situated in the perfect position to get all the best Surf South Morocco has to Offer. Mirleft is well known for its amazing beaches, beachbreaks, points and reefs;, Sidi El Ouafi, Tamahroucht, Sidi Mohamed Ben Abdallah, Imin Turga, and the beaches bordering Sidi Ifni. Sidi Mohamed Ben Abdallah is the best known while Imin Turga is the most popular. Mirleft is a quiet town with amazing, sandy beaches and consistent swell. Spot-M first set up Mirleft in 2008 and we having completely fallen in love with this small town in North Africa and its people. This location in Southern Morocco is truly special and is very different from the well known and often crowded, polluted surf areas north of Agadir. We offer surf trips to groups of all sizes, ages and budgets and offer bespoke packages to make sure everyone gets the holiday they want and deserve. Our customer service record is un-rivalled, and you will always be in safe and experienced hands, with our team on hand and on the ground 24/7/ This place must be seen to be believed, forget the hassle associated with other parts of Morocco Mirleft is a relaxed village with the warmest locals and amazing surf set-up. Book your surf holiday with Spot-M today and see why. Spot-M Surf camp South Morocco was established in 2008 as the first Surf camp in this area of South Morocco. Since then we have established ourselves as the number one surf camp in South Morocco, owing to our dedicated professionalism, customer service and local expertise. Our Surf Camp In South Morocco is situated on the best beach in the are for beginners and intermediates to improve as well as having a point break perfect for intermediates and advanced surfers to improve their skills on the long walls of glass. South Morocco has some of the very best waves Morocco has to offer. Our Surf camp in Mirleft is perfectly situated to get you to all the best waves in South Morocco. Our Surf School In Morocco has everything you need if you are starching out and our expert Surf Coaches will get you flying at our beautiful white sandy beach with rolling blue waves. Our Surf Camp Morocco is perfect for all those looking to get away from the crowds but still surf world class waves. Spot-M is the key as we know where all the best spots are and don’t advertise their locations for all to see. We like our waves quiet, we don’t like to show off and kill off our best waves with crowds at the same time. We prefer to stay quiet, take you to the surf and let the waves do all the talking. If the idea of clean and quiet waves with a heavy dollop of warm Moroccan hospitality and culture hosted by a great team who care about your holiday sounds like your cup of tea, then why not get in touch now. The Surf South Morocco is the most consistent along the whole coastline and we have waves 365 days per year. To surf South Morocco properly however you need the local expertise to find the best waves on the best day and get you to them at the right tide. Hire a car and you will 99 times out of 100 miss out. Our best waves are a fiercely guarded secret and you wont find them advertised in any guidebooks or travel blogs. So if you want the best Surf in South Morocco….come to us! Want to know more? Check out our deals and the surf forecast while you are at it! Contact us today and come Surf South Morocco with the best team there is.